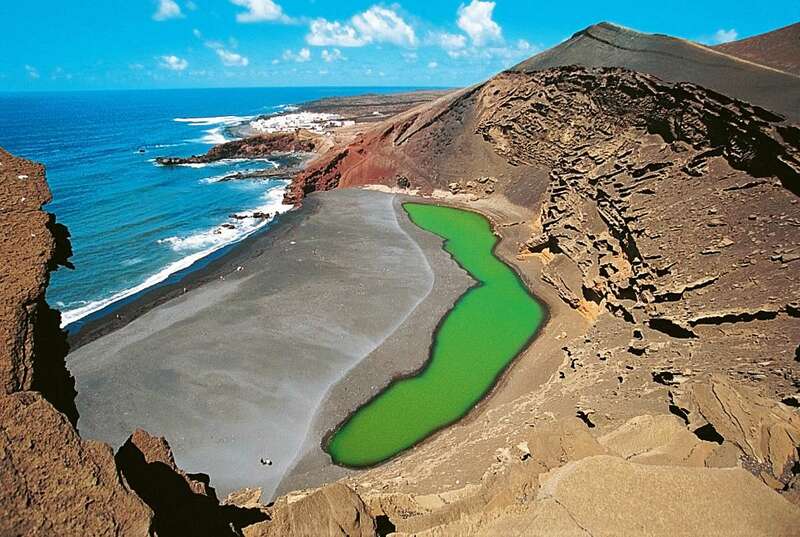 Lanzarote is a very unique destination thanks to the perfect symbiosis achieved between man and nature. It is no doubt an incomparable paradise that combines the magic of its story, a stable warm weather all year around, beautiful beaches and landscapes and a very respectful population with an impressive focus on their islands’ conservation, cultural heritage and its architectural integrity. From The Lanzarote effect by Lea et Nicolas Features. Lanzarote is a small volcanic and desert like island mostly covered in lava. It is located in the African coast, approximately 125 km off the coast of Africa and is the easternmost island of the Canary Islands Archipelago. It covers a 845,9 Km2, 60 km from north to south and 25 km from west to east. With 213 km of coast, 10 of this km are covered in sand, 16.5 km are beach and the remainder is rocky. On the 7th October 1993 it was declared a Biosphere reserve by Unesco. This was the final step to establish a sustained economic growth intended to protect and preserve the environment. After being associated with all – inclusive/mass tourism, Lanzarote has recovered the main essence of Cesar Manriques’ vision and purpose; to increase the number of independent travellers which brings an intense interest to explore the island and its hidden treasures. Lanzarote getaways intends to play an important role here, by offering visitors an authentic Lanzarote Experience through unique properties. In the past 25 years Lanzarote has seen a shift in its tourism ethics through becoming a widely sought after active and sport destination. The Ironman Lanzarote has played a big role in this positive change encouraging other organisations to follow in their footsteps. Nowadays tourists and locals alike enjoy an intensive and diverse calendar full of weekly activities for all. These include bike, run, hike, swim, windsurf, cars, 4×4, diving, museums and many more. Bringing a new way of tourism that doesn’t only focus on sun, sand and sea. This kind of tourism entices people to visit the island to enjoy the weather, safety and excellent conditions for all kinds of adventures but most importantly to bask in the magic of the place. In recent years there has been an active revolution in Lanzarote, becoming an important sport destination. 25 years ago the Ironman Lanzarote started a revolution, nowadays there is an intensive calendar full of weekly activities for all kind of purposes bike, run, swim, windsurf, cars, 4×4, diving, museums etc.. bringing a new way of tourism that not only focus on sun and beach, they come here to enjoy our conditions, safety, weather and the magic of the place. 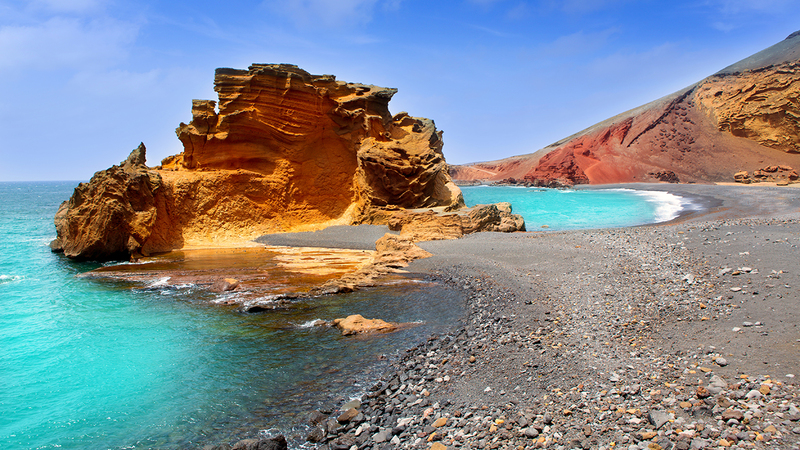 Lanzarote enjoys a quiet revolution, is all about staying in chic, eco-friendly places and spending your days cycling, walking, surfing or sampling the local wines. It is impossible to imagine the actual Lanzarote without the existence of Cesar Manrique as the main character of the island. He initiated and promoted the perfect harmony between art, nature, the local architecture and the local population adding an important value to Lanzarote as a prime touristic location. You can see his work in our main touristic attractions such as Timanfaya, Mirador del Rio, Cueva de los verdes and Jardin de Cactus. Notwithstanding his own artistic creations scattered around the island enhancing Lanzarotes’ unique character.